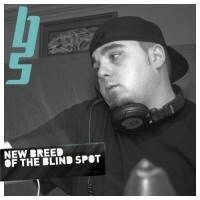 Dr Hoffmann with Blind Spot Radio Show presents "New Breed Of The Blind Spot". The podcast is the latest part of the Blind Spot "family".Our goals with it are to give some attention for up and coming artists of the world of Techno, create a great platform where their talent is supported and supply quality, ear catching Techno sets to You the listeners. We will not make stars but will be trying to provide help young artists to push their fresh sounds by using the power of Blind Spot.